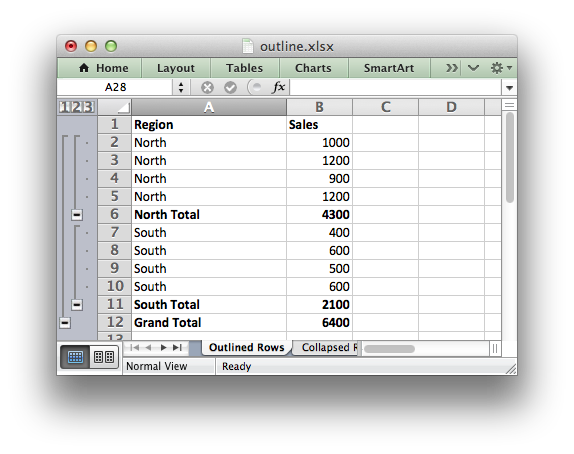 Examples of how use XlsxWriter to generate Excel outlines and grouping. See also Working with Outlines and Grouping. # displayed with a single mouse click. This feature is referred to as outlines. # default values if they are None. # previous example except that the rows are collapsed. # collapsed if 'hidden' is True. # Example 3: Create a worksheet with outlined columns. # Example 4: Show all possible outline levels.